At Carroll Tire, we enjoy strong relationships with major suppliers who ensure we have the most competitive pricing and warranty options in the industry. The result of these efforts continues to lead us to new and emerging low-cost expansion opportunities. As a dealer, you will gain an edge in your market through complete line coverage, superior fill rates, comprehensive marketing support, and industry-leading product warranties. Warehouses: Find warehouses using the map below. 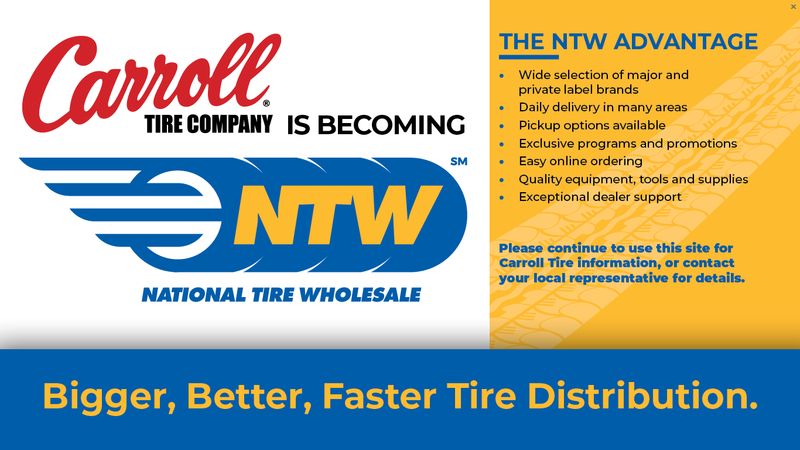 With humble beginnings as a single location in Hapeville, GA, Carroll Tire Company is now one of the nation's largest distributors of private and major brand tires. Founder Bobby Carroll entered the wholesale tire business with a mission: To bring competitive and consistent pricing to Georgia's network of small, independent tire dealers. As his reputation grew for supplying quality products with consistent availability and pricing, coupled with straight talk and exclusive marketing areas, the business began to grow. In 1972, Carroll Tire Company expanded into Jacksonville, FL, marking the beginning of Carroll's expansion explosion. Carroll's cornerstone supplier during this expansion was TBC Corporation, who offered cutting-edge products like its Multi-Mile and Cordovan private brands at competitive prices. Carroll Tire quickly became TBC's largest customer, and TBC was Carroll's largest vendor. 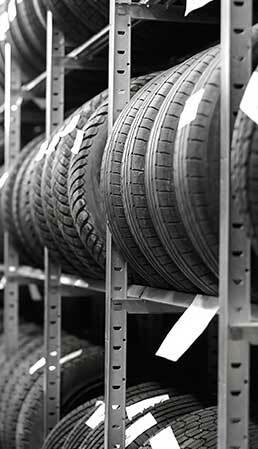 By the mid-90s, Carroll had expanded to 14 branches in Florida, Georgia, Alabama and South Carolina, yet innovations in the tire market continued to demand change. Carroll responded in 1994 by implementing daily delivery at all branches to meet the needs of dealers. In 1997, Bobby Carroll realized that if Carroll Tire was to become the top wholesale tire distributor in the United States, money and guidance would be needed. On November 18, 1998, Carroll Tire Company merged with TBC Corporation, becoming their wholesale tire distributor subsidiary. Today, Carroll has more than 50 branches in the United States, and it remains committed to Bobby Carroll's founding goals: Sell a program, offer products at the most competitive prices and grow Carroll Tire Company and the independent tire dealer. To find a warehouse near you, click here. Please complete the form below, which will be routed to the appropriate representative. Carroll Tire Company, a division of TBC Corporation, sells a wide variety of proprietary and national brands from more than 45 distribution centers that market directly to independent tire dealers across the United States. 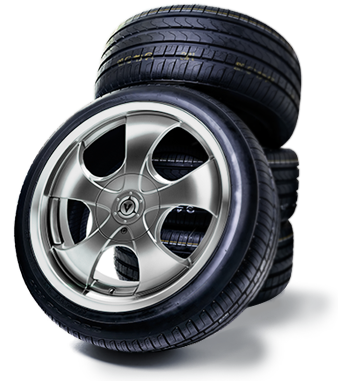 TBC Corporation is the trusted and recognized leader in the replacement tire and automotive service industry. We achieve this vision through superior service, integrity, quality products, and innovation that exceeds the expectation of customers, associates, franchisees, and shareholders. Our values lead us to approach every activity with the highest integrity, deliver excellence in everything we do, and treat all people with respect. We strive to be an employer of choice in our industry through teamwork and by workforce excellence within your community. This means we invest in the best for our people and their careers. We hire the best people with passion and positive attitudes, and we train them on tested and proven methods that generate success. We believe in careers, and we promote from within whenever possible, evidenced by the many great career stories our people can tell. Our mission is to enable people to live, work, and play - safely and easily! If you're looking to drive your career ahead and become a part of Carroll Tire's growing team, please visit www.tbccareers.com and apply today! © 2019 Carroll Tire Company. All Rights Reserved.